What kind of cannabis lawyer do you need? What does a cannabis lawyer do, exactly? The phrase, “cannabis law” encompasses a wide spectrum of legal services. Most people that I speak with assume that cannabis lawyers represent people who have been charged with a marijuana crime- possession, trafficking, and/or growing. This is partly true. Until cannabis prohibition ends, there will be a continuing need for cannabis criminal defense lawyers. But cannabis prohibition continues to be challenged and states are legalizing it in some form or fashion at an unprecedented rate. As more and more states come “on line” with cannabis legalization, the need for cannabis business lawyers increases. But what, exactly, do cannabis business lawyers do? First of all, business is business. Or, to put a new spin on an old Calvin Coolidge quote, “The business of business is business.” No matter whether a company is selling cars, manufacturing widgets, selling groceries, or growing marijuana, it is engaged in business. On a certain level business law is business law, regardless of the underlying nature of the business. Despite this, many businesses are highly regulated and, consequently, require more unique and specialized services. Think of businesses engaged in the production, distribution, and sale of alcohol. Or guns. Or medical products. Or cars. Most major industries are regulated to a degree that a company’s lawyers must be well versed in the particularities of its industry, despite the fact that business law is somewhat similar on a fundamental level. Cannabis is highly regulated. Moreover, and unlike any of the other industries I just mentioned, it remains illegal at the Federal level and many of the laws are so new that they haven’t been tested or fleshed out. For these reasons, a general business lawyer may not be up to the task of representing a cannabis business. 1. Advising and setting up a proper corporate structure. States differ in what types of structures are authorized. Some states offer non-profit status. Some require cooperatives. Others allow full-blown for-profit corporate entities. Most cannabis businesses will include various factions- investors, marketers, “bean counters”, salespeople, manufacturers, visionaries, growers, healers, and successful people from other industries who want to get involved in the “green rush.” A good cannabis lawyer will know what questions to ask and how to guide a multifaceted group into the right business form. 2. Obtaining a license to operate. States differ radically on how licenses are issued. A good cannabis lawyer will know the regulations and guide you through the application process. 3. Protecting a company’s intellectual property (“IP”). As businesses grow they want to protect their names, their logos, their business model, their strains, and any number of other items which fall under the IP umbrella. Federal law is extremely restrictive about cannabis IP, but most cannabis friendly states are not. A cannabis lawyer can help prepare a strategy for protecting your IP to the fullest extent of the law. 4. Secure a reasonable lease. Whether you’re a cannabis business looking for a place to operate or a commercial property owner interested in leasing to a cannabis business, the considerations are different from a standard “non-cannabis” lease. What activities are allowed? Will ingesting cannabis be allowed on the premises? In the common areas? What happens to the tenancy if the business is raided by the Feds? Are there special zoning requirements to which the parties must adhere? What if those zoning laws change during the tenancy? These questions are just the proverbial “tip of the iceberg” for legal issues involved in landlord-tenant relationships. A cannabis lawyer will know the legal “lay of the land” and address all of these issues and many more when discussing the lease. 5. Saving on taxes. As most people familiar with the cannabis industry know, IRC 280E prohibits cannabis businesses from taking ordinary non-cost of goods deductions. There are strategies to help reduce onerous tax burdens, but you can be sure that the IRS is watching like a hawk. A good cannabis lawyer will know how best to set up your business to comply with the IRS’s requirements while not paying through the nose on taxes. 6. Complying with the Ogden, Cole, and Wilkinson Federal memos. What, you don’t know about these memos from the US Attorney’s Office? Read them. Together, they form the foundation of the current state of cannabis law. If you ever ask a cannabis lawyer, or really, anyone looking to get involved in the cannabis industry, about these memos and they give you a blank stare, then run. These memos are fundamental and a good cannabis lawyer will help you comply with them. 7. Staying on the right side of employment and labor laws. As of this writing the National Labor Relations Board (“NLRB”) has taken up two cases involving complaints by unions composed of marijuana workers. Given that most states require “seed to sale” tracking a cannabis business must have clear guidelines for its employees. A good cannabis lawyer can help prepare a proper employment handbook and set up policies to help prevent being the subject of a NLRB complaint. 8. Banking services. Banking is perhaps the single most difficult and pressing issue facing the cannabis industry right now. Whether you’re a business seeking banking or a bank wanting to conduct business with the cannabis industry, the laws are onerous and unhelpful. Despite, or perhaps because of, the FinCen memo, banking issues remain difficult. A good cannabis lawyer can help you navigate the changing banking landscape. These are just a few of the major legal areas that cannabis businesses will face. Although most businesses face some of these issues, none face them in the same way as cannabis businesses. And none face the same uncertainty and rapidly changing laws. A cannabis business lawyer will have taken the time to become conversant in this new field. As the cannabis industry grows you can expect to see cannabis lawyers forming sub-specialities and boutique law firms to address particular legal issues. It won’t be long before the term “cannabis business lawyer” is too broad a term and you’ll start seeing “cannabis tax” lawyers, “cannabis employment” lawyers, and possibly even “cannabis real estate” lawyers. For now, just be sure that your lawyer knows cannabis business and is committed to staying on top of the changing state of the law. 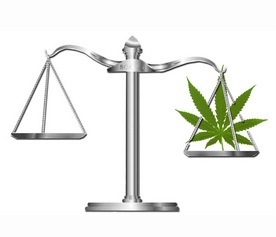 ← Legalized Medical Marijuana vs. the Medical Necessity Defense: An important distinction. I agree. As a cannabis lawyer I receive calls almost everyday regarding marijuana criminal charges. I look forward to the day when people aren’t arrested for a plant! In the meantime, since I’m a business lawyer and don’t do any criminal defense work I have a small network of quality criminal defense attorneys that I refer these cases to.